Looking on the shelf the other day, I realized that trilobites must be popular subjects for moulding and casting, as there seem to be various examples lying around in metals, plastic, and ceramic. They are, of course, attractive fossils, and have a form that makes them pleasing tactile objects. 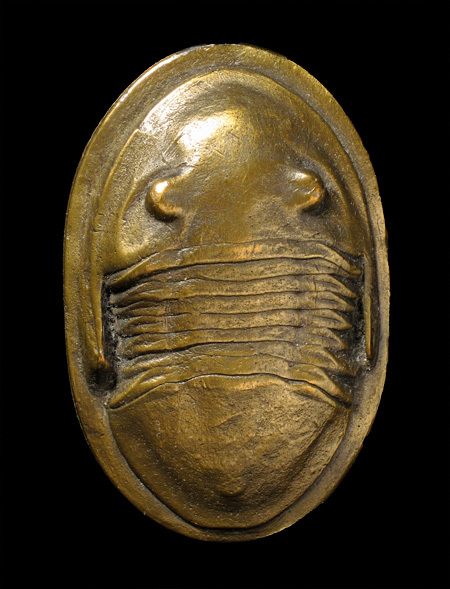 Perhaps cast trilobites have become amulets, modern equivalent of the scarabs treasured by ancient Egyptians? I was most taken with three of the modern arthropodan amulets. Each is in a different metal, and each a somewhat different take on a medium-sized trilobite, in the range of 5-12 centimetres long (roughly 2-5 inches). The first is an Isotelus in aluminum. This one, which resides on my office filing cabinet, is the result of a miscommunication. Our artists, Betsy and Debbie, had made moulds of a couple of trilobites, to be used to produce stainless steel “touchables” for the Earth History Gallery. For some reason, the people at the metal casting place thought that aluminum was wanted, rather than steel. This resulted in this imperfect cast: too soft for the robust day-to-day handling that would happen in the gallery, and with an oddly flecked and roughened surface. So a re-cast was done, producing the excellent replicas that sit in our gallery, in front of the giant trilobite Isotelus rex. The second metal trilobite, in brass, is another Isotelus. 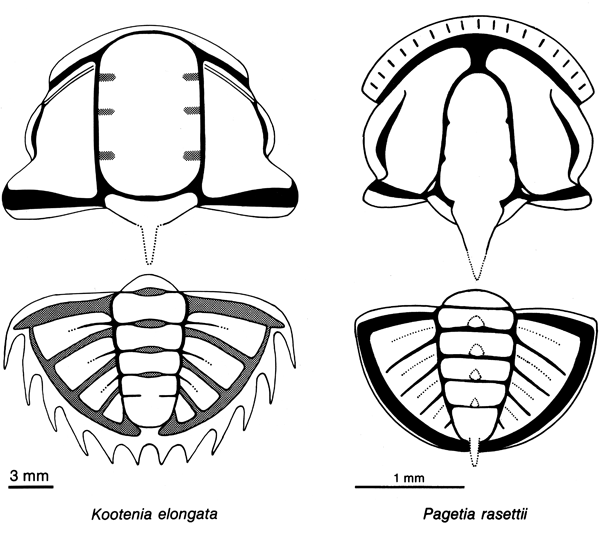 I’m not sure why Isotelus is such a popular trilobite for this sort of thing; maybe there is just a lot of it around! I bought this belt buckle years ago, back when the Ohio Geological Survey used to carry Isotelus-themed gift items in addition to their wonderful selection of popular publications (Isotelus is Ohio’s state fossil). 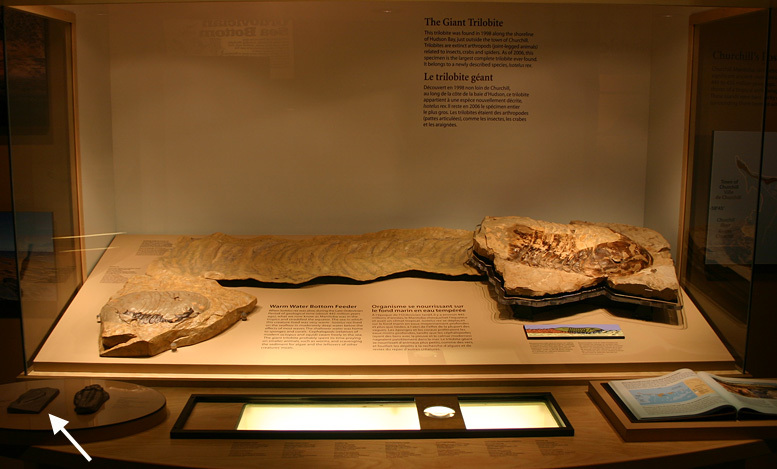 The buckle is apparently a direct replica of a specimen of Isotelus from the Cincinnati area. I am guessing that it is I. maximus, but it seems a bit ambiguous in features; perhaps someone from the Dry Dredgers can either confirm or refute this identification? 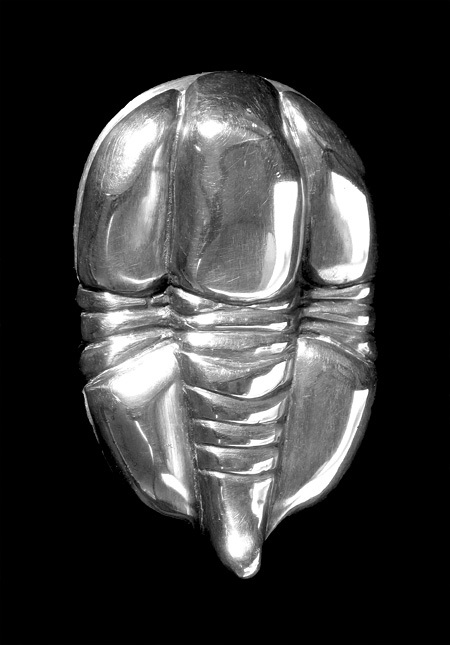 There is no such classification issue with the last and best metalbite: this silver one is more the spirit of the trilobite than a depiction of a fossil. This is also a belt buckle, which I was lucky enough to receive as a gift from its maker, my sister Carolyn. She was not aware of the Isotelus belt buckle at the time, but had thought that a trilobite was a worthy subject for such a piece. 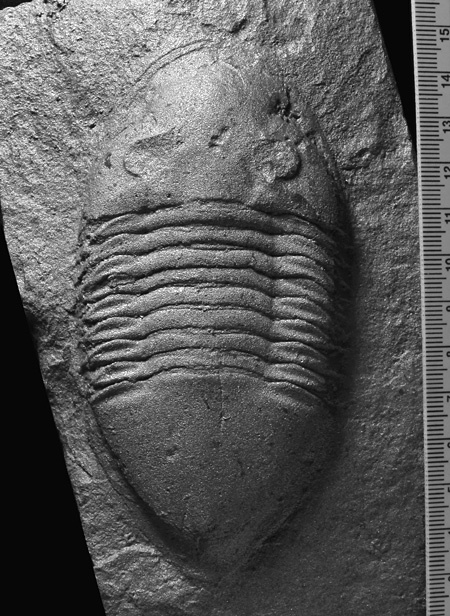 This lost-wax one-off was loosely based on at least a couple of the Cambrian trilobites that I described (with Rolf Ludvigsen) a very long time ago, blended with a large dollop of creative licence. Young, Graham A. and Rolf Ludvigsen. 1989. Mid-Cambrian trilobites from the lowest part of the Cow Head Group, western Newfoundland. Geological Survey of Canada, Bulletin 392, 49 p.
* Yes, I know that “trimetallic,” strictly speaking, might only be considered to refer to sheet metal composed of three different metals bonded together. But it is hard to find alliterative titles, and the trilobites ARE composed of three different metals, when considered together! I can’t match your belt buckle, but a Manitoba artist you may have heard of is a ceramacist who likes to decorate his pots with little trilobites: Kevin Conlin. Kevin works out of Wawanesa MB and I have a superb plate of his featuring stylised trilobites that you may recall from dinner at my home when you came to Brandon. My personal favourite fossil as art are Ginkgo leaves. My wife has silver Ginkgo leaf ear rings, and we have a lovely glass plate with a Ginkgo motif. I am a sucker for any good art or trinket that features a Ginkgo leaf! Thanks David. Yes, Kevin does fantastic work; I have been pestering him for years to do one of his big pots for us. By the way, some of his work does appear in an older post on this page, though uncredited (by his request). I picked up a couple of trilobite fossils in some shale (?) along the Ottawa River. I don’t know much about them but they are fascinating.